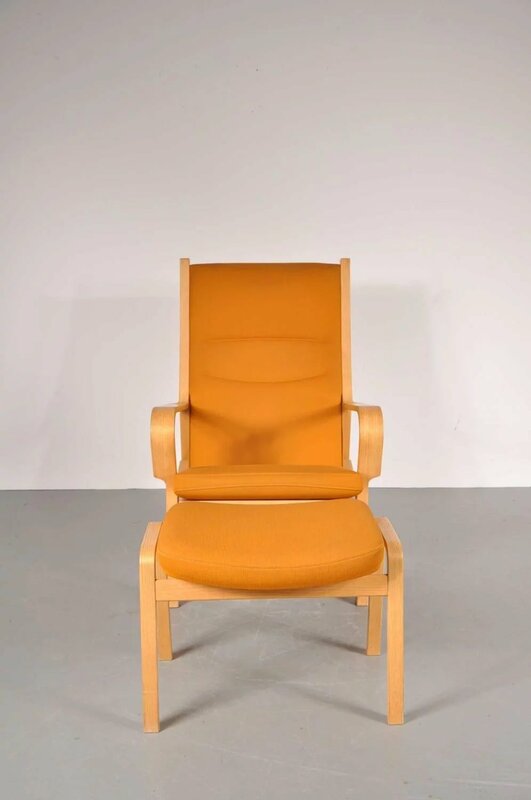 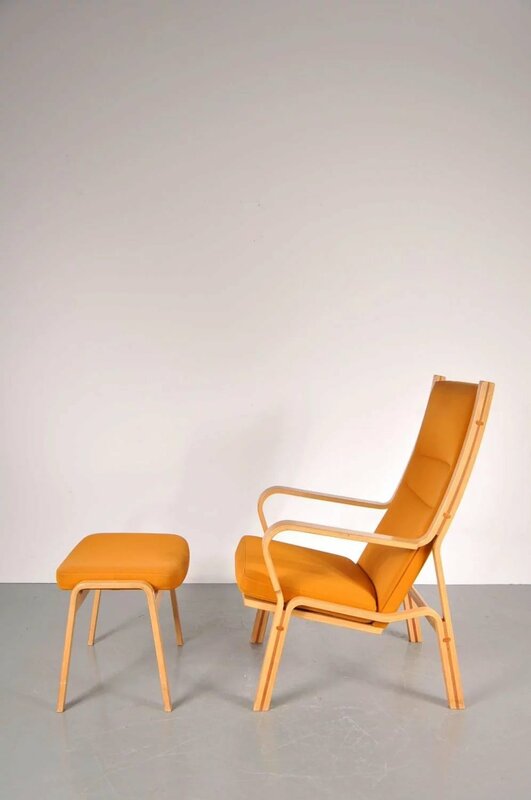 Stunning highback easy chair with matching ottoman, manufactured by Johannes Hansen in Denmark around 1980. 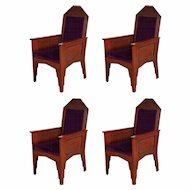 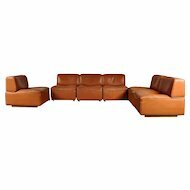 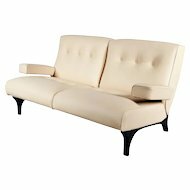 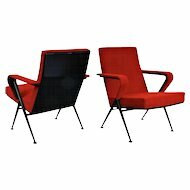 The set has a high quality ash with teak wooden base and original orange fabric upholstery. 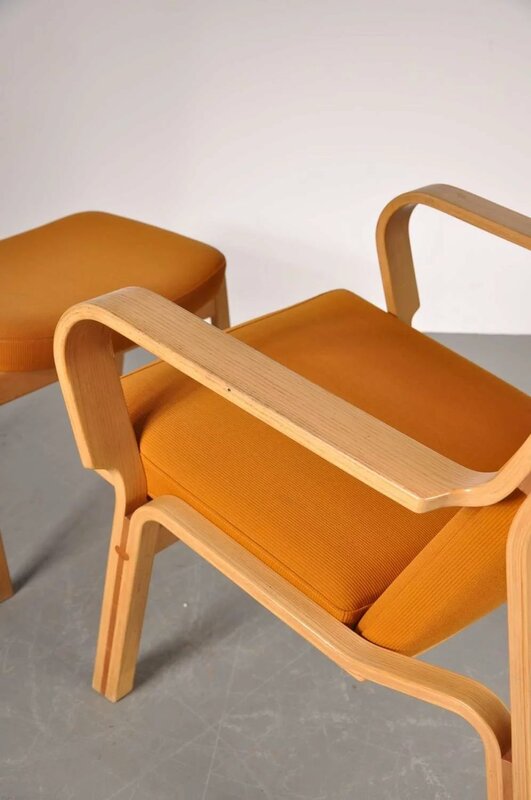 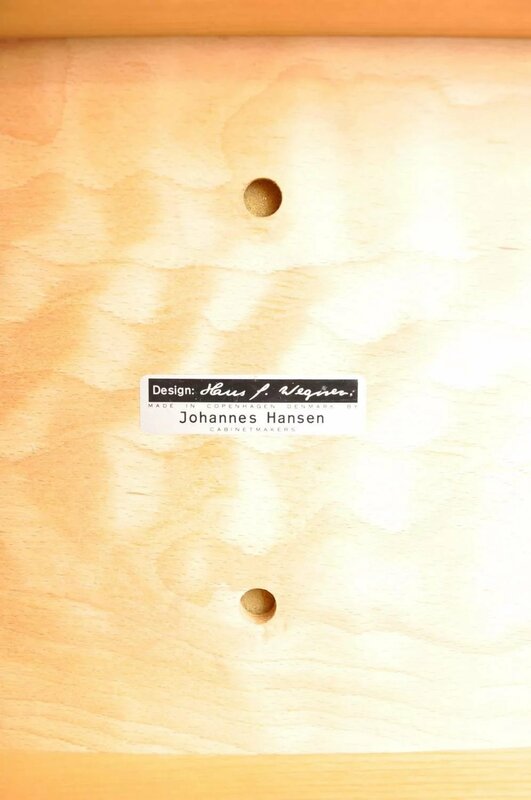 Hans J. Wegner is the undisputed master of Danish chair design. 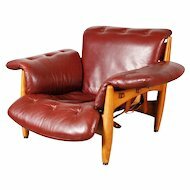 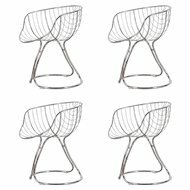 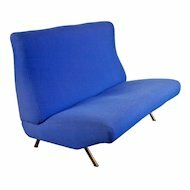 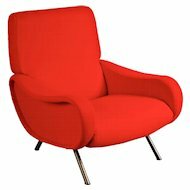 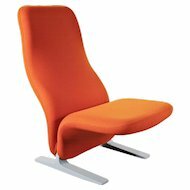 Wegner has designed countless chairs, many of which—such as the Hans Wegner Wishbone Chair, Wegner Wing Chair, and Wegner Shell Chair—are internationally recognized classics. 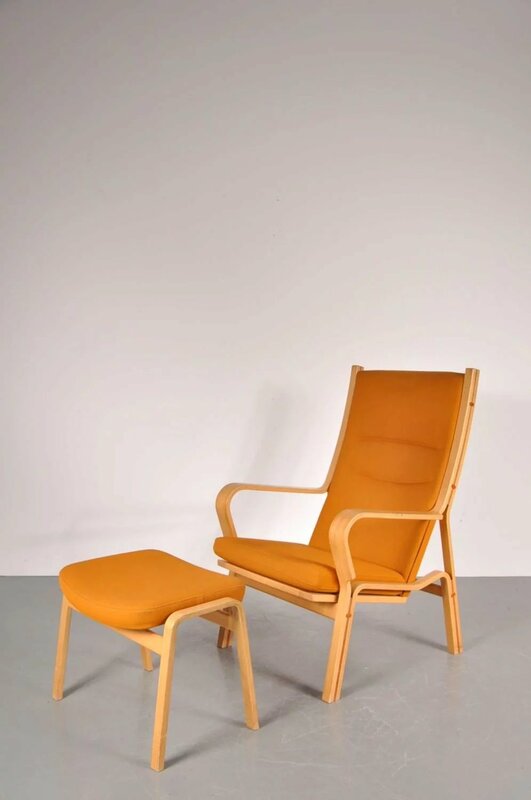 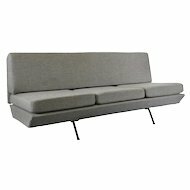 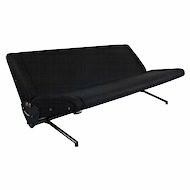 Hans Wegner’s furniture unites form and function; in every design, he places the highest demands on comfort and ergonomics. 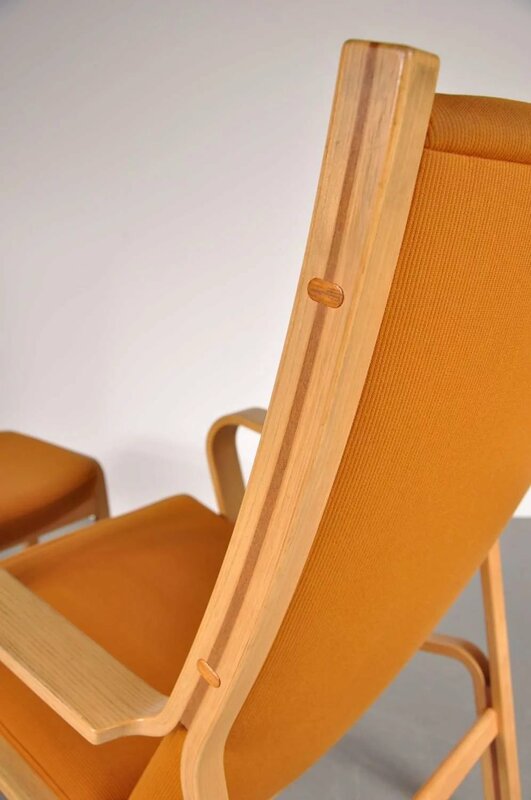 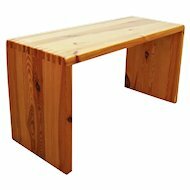 To Wegner, a chair isn't just a piece of furniture, but a work of art made to support the human form.